My last post in Prevención Integral -the site by the Specific Research Centre for the Improvement and Innovation at Companies (CERpIE) of the Technical University of Catalunya- is entitled “La #PRL en los próximos años según tres indicios macro-preventivos” (#OSH in the next years according to three macro-preventive indicators)  and is, in practice, a collection of three strategical-driven sources at European level providing a number of signs about the main actions in Europe in the next five years -until 2020- in the field of occupational safety and health. Since these three sources unveil the main strategical approaches at European level, I use the term “macro-prevention”. As in the case of macro-economy, these processes will take time until becoming into real measures in the small and medium enterprises and the work of most of citizens. The EU-OSHA´s “Healthy workplaces” campaigns . the impact of globalization and new models of work organization on the safety and health. Many of these aspects were already treated in this blog before     , but its leading role is ratified and strengthened as new macro-preventive signs appear. Some factors -like “healthy workplaces”, the technology or the sustainable development- are now materializing in specific actions within the organizations, although we are just in the early stages of such approaches. So, these are some interesting and thriving fields from the professional point of view. MAIRAL, DAVID. 28 Apr 2015. La #PRL en los próximos años según tres indicios macro-preventivos. Prevención Integral. http://www.prevencionintegral.com/comunidad/blog/aragon-valley/2015/04/27/prl-en-proximos-anos-segun-tres-indicios-macro-preventivos. Consulted 4 May 2015. EUROPEAN AGENCY FOR SAFETY AND HEALTH AT WORK. 16 sept 2014. Scoping study for a foresight on new and emerging occupational safety and health (OSH) risks and challenges. https://osha.europa.eu/es/teaser/scoping-ahead-for-new-osh-risks-and-challenges. Consulted 27 Apr 2015. EUROPEAN COMMISSION. 6 Jun 2014. EU Strategic Framework on Health and Safety at Work 2014-2020. http://eur-lex.europa.eu/legal-content/EN/TXT/PDF/?uri=CELEX:52014DC0332. Consulted 4 May 2015. EUROPEAN AGENCY FOR SAFETY AND HEALTH AT WORK. November 2013. Healthy workplaces manage stress. https://www.healthy-workplaces.eu/en?set_language=en. Consulted 5 May 2015. ARAGON VALLEY. 19 Sept 2014. The professional specialization in occupational safety and health in the coming years. 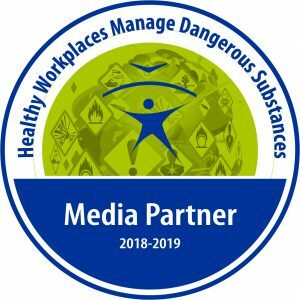 http://www.aragonvalley.com/en/professional-specialization-occupational-safety-health/. Consulted 6 May 2015. ARAGON VALLEY. 16 Jun 2013. El envejecimiento de la población es asimilado en Europa al problema del cambio climático. http://www.aragonvalley.com/el-envejecimiento-de-la-poblacion-es-asimilado-en-europa-al-problema-del-cambio-climatico/. Consulted 6 May 2015. ARAGON VALLEY. 29 May 2013. Liderazgo y participación para gestionar la diversidad cultural en las empresas. 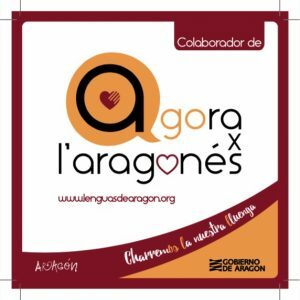 http://www.aragonvalley.com/liderazgo-y-participacion-para-gestionar-la-diversidad-cultura-en-las-empresas/. Consulted 6 May 2015. ARAGON VALLEY. 8 Apr 2014. Stress and psychosocial risks in the new 2014-15 EU-OSHA´s Healthy Workplaces Campaign. http://www.aragonvalley.com/en/stress-psychosocial-risks-2014-15-eu-osha-healthy-workplaces-campaign/. Consulted 6 May 2015. ARAGON VALLEY. 24 Mar 2015. In Europe, the gender equality is a question of justice…. and survival. http://www.aragonvalley.com/en/europe-gender-equality-matter-of-justice-survival/. Consulted 6 May 2015.